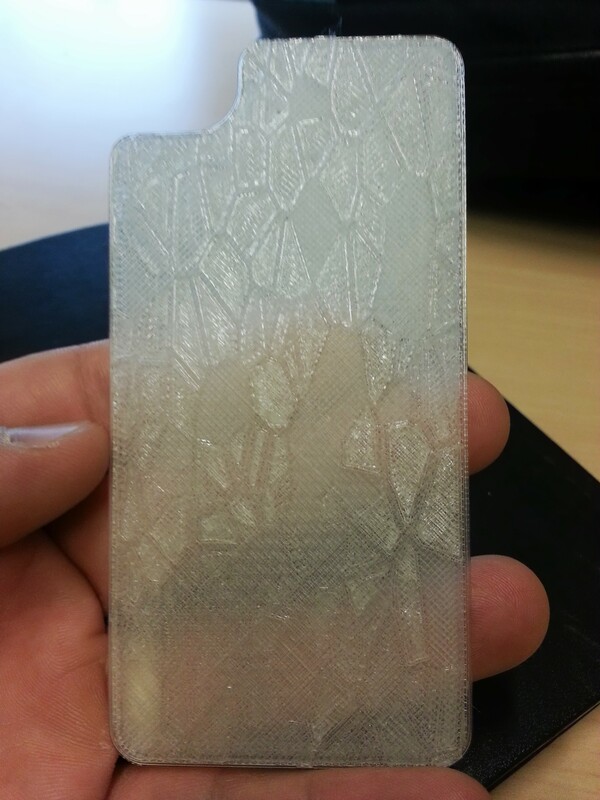 I had been messing around with thing 50624 and printing various case infills for the iPhone owners in my household. So, I obviously wanted to give this thing a spin. I had to really think about how I was going to pull this off, but the tools in Tinkercad were there to make it happen. The resulting shape from the script I chose was rectangular so I had to use a few tricks with model manipulation and ‘hole’ geometry to get to the final product (below). After I was happy with it, I sent it over to the printer. The steps to do that from Tinkercad is basically the same for any modeling program you choose and that is to get it into STL form. From the Design menu choose “Download for 3D Printing”. This gives you several file types to choose from. I chose STL. From there, you open Makerware and open your STL and click “Make it”. Now, depending on whether you have the printer directly connected or not, you will either choose to send it to the printer or to a file. I had to choose File and put it on the SD card that travels to the Makerbot. I’m not sure why some of the geometry is missing from the print but my guess would be that the layer height I specified was too tall to pick up on the varying heights in my model. As a test, I’m pleased with it. ← What do I use to make the 3D model?